Snegurochka (Snow Maiden). Spring Fairy Tale. 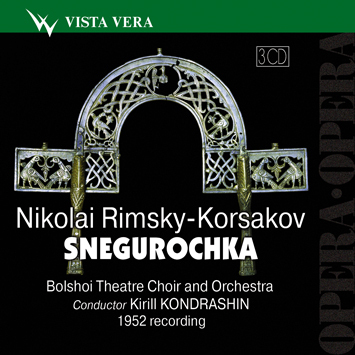 There are no recordings of the following: 1) Tsar Berendei Cavatina from the Act 3; 2) Scene of Lell, Kupava and Snegurochka; 3) part of the Snegurochka and Mizgir duet from the Act 4.